As anticipated a year ago, the continuing relative shortage of homes available has resulted in record prices for the fourth year in a row. Although the overall rate of price increases has slowed, an upward trend may continue for several months more. Buyers are likely to feel even more frustrated in the efforts to purchase a home here, especially with median average sale prices now above $3 million. It is interesting to observe that 22 percent (57) of the local 2017 sales were homes bought as “teardowns,” an increase of 20 percent above the previous year and back to the same number sold in 2015. The really surprising observation is that investors were willing to pay an average of $2.8 million for Pacific Palisades’ teardowns in 2017, an increase of 38 percent more than in 2016. What about the prices buyers have paid to purchase the new homes in 2017? The number of new homes—31—sold in 2017 were almost identical to 2016. Because of the different size lots, increased number of three-level homes, number in higher-priced neighborhoods, etc., the median price was 40 percent higher in 2017 than in 2016—at $6 million. Even the Alphabet Streets had three sales at that level. As might be expected, the picture is quite different for the two-thirds of the Palisades market that is neither “teardown” nor new construction. With 10 percent fewer such sales in 2017 than 2016, the average price per square foot was only 5 percent higher in 2017. The median average price was over $2.9 million, an increase of almost 10 percent over 2016. With interest rates finally creeping up, and a higher proportion of potential buyers gradually getting priced out of the local market, it would not be surprising to see prices flatten out by the summer. A couple of factors may combine to result in a market price correction phase soon. One of these is the rather complex new tax structure and its somewhat unclear consequences on the housing market. Overall, these factors will likely have between 2-4 percent negative impact on our local home prices. Much will depend on how the IRS interprets and applies many of the new code provisions. The other factor that could impact home values is the long-term cyclical pattern that we have seen repeat every eight to 10 years for the last four decades. Although history does not always repeat itself, we are now beginning the 10th year since the last significant market down-cycle began. 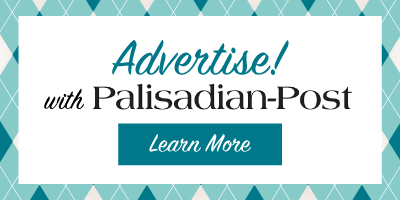 The average price adjustments in the Palisades during the last few cycles were between 22-33 percent. Therefore, now could be an excellent time for owners to take advantage of a market still very much in their favor. 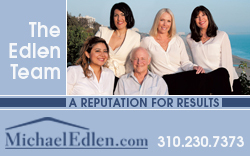 Michael Edlen has sold $1.5 billion, over 1,350 homes, and his team has more than 100 years combined real estate experience. He provides real estate counseling services to dozens of prospective sellers and buyers each year, and his team works closely with many families in the process of downsizing. He may be reached at 310-230-7373 or michael@michaeledlen.com.